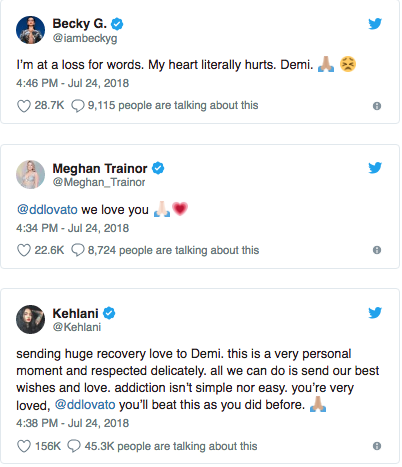 Shock waves were sent through the music industry today when news broke singing sensation Demi Lovato was rushed to the hospital for an apparent overdose on heroin. 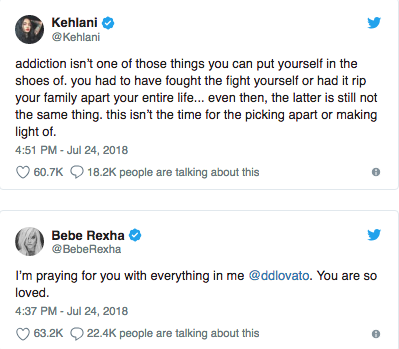 The 25-year-old, who’s been very public about her battle with sobriety and addiction, recently admitted in song that she’d relapsed after being clean for six years. 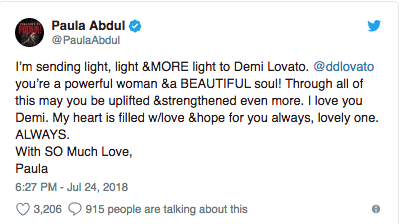 Despite support from industry friends Iggy Azalea and more since that public admission, the setback eventually overtook the songstress. 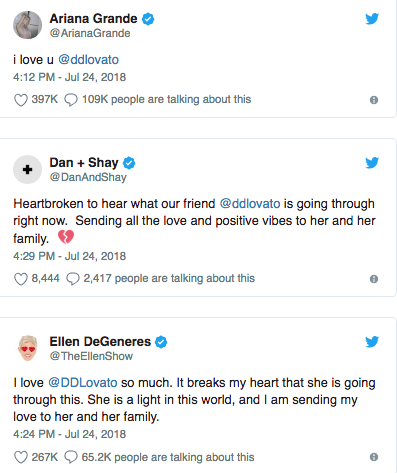 Since the story made its rounds, the outcry of support has only increased for Lovato. 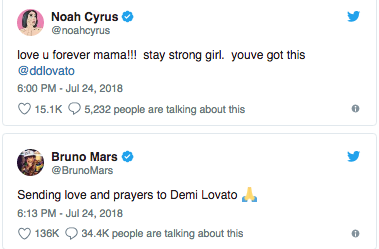 Fellow celebs Bruno Mars, Cardi B, Ellen Degeneres, Lady Gaga, Ariana Grande, and more took to their social media handles to send love the singer’s way and encouraged their followers to do the same.